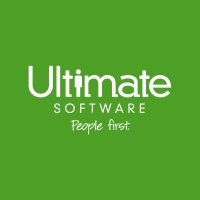 Ultimate Software (Nasdaq: ULTI), a leading global provider of human capital management (HCM) solutions in the cloud, today announced that it has entered into a definitive merger agreement to be acquired by an investor group led by Hellman & Friedman(“H&F”), a leading private equity investment firm, in an all-cash transaction for $331.50 per share in cash — representing an aggregate value of approximately $11 billion — after which Ultimate Software (“Ultimate”) will operate as a privately held company. “The transaction provides our stockholders with a substantial premium. Our decision was also made with the best interests of our 5,144 employees and our more than 5,600 customers at heart. This change will bring meaningful benefits to our employees and customers — both in the long and short terms. Since all of our employees are given equity in Ultimate when they join us, as stockholders, this transaction will result in immediate financial upside for them. Today’s announcement will also allow us to make additional, prudent investments in our products and services to better serve our customers,” said Scott Scherr, CEO, president, and founder of Ultimate.